Children’s Day was celebrated with fun & frolic on 14th November 2014 at Marian Kindergarten. A fun – fair was conducted and the little ones thoroughly enjoyed playing on the jumping jack & the train ride. 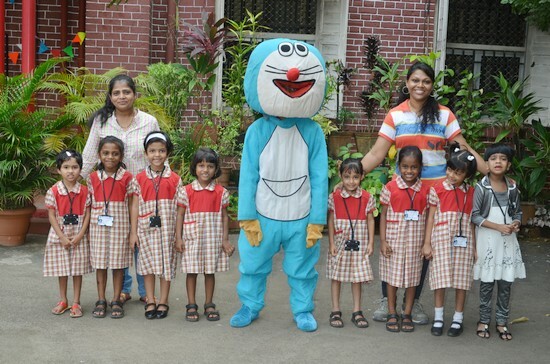 The excitement & enjoyment doubled as doremon (mascot) entered & entertained the children. With happy smiles they received a chocolate and a balloon & also watched a video on Dora in their brightly decorated classrooms on their Smart boards. They were thrilled & left home happy & enjoyed.